Washington: Confronted with a plunge in its stock markets last year, China’s central bank swiftly reached out to the US Federal Reserve, asking it to share its play book for dealing with Wall Street’s “Black Monday” crash of 1987. It is not known whether the PBOC had contacted the Fed to deal with previous incidents of market turmoil. The Chinese central bank and the Fed had no comment when reached by Reuters. In a Reuters analysis last year, Fed insiders, former Fed employees and economists said that there was no official hotline between the PBOC and the Fed and that the Chinese were often reluctant to engage at international meetings. The Chinese market crash triggered steep declines across global financial markets and within a few hours the Fed sent China’s central bank a trove of publicly-available documents detailing the US central bank’s actions in 1987. Fed policymakers started a two-day policy meeting the next day and took note of China’s stock sell-off, according to the meeting’s minutes. Several said a Chinese economic slowdown could weigh on America. Financial market contagion from China was one of the reasons cited by the Fed in September when it put off a rate hike that many analysts had expected, a sign of how important China has become both as an industrial powerhouse and as a financial market. The messages, which Reuters obtained through an Freedom of Information Act request, show how alarmed Beijing has become over the deepening financial turmoil and offer a rare insight into one of the least understood major central banks. The exchanges also show that while the two central banks have a collegial relationship, they might not share secrets even during a crisis. “Could you please inform us ASAP about the major measures you took at the time,” Song asked the director of the Fed’s International Finance Division, Steven Kamin in the 27 July email. What followed five hours later was a 259-word summary of how the Fed worked to calm markets and prevent a recession after the S&P 500 stock index tumbled 20% on 19 October 1987. Kamin also sent notes to guide PBOC officials through the many dozens of pages of Fed transcripts, statements and reports that were attached to the email. All of the attached documents had long been available on the Fed’s website and it is unclear if they played a role in shaping Beijing’s actions. Kamin’s documents detail how the Fed began issuing statements the day after the market crash, known as Black Monday, pledging to supply markets with plenty of cash so they could function. By the time Song wrote to Kamin, China had spent a month fighting a stock market slide and many of the actions taken by the PBOC and other Chinese authorities shared the contours of the Fed’s 1987 game plan. The 27 July plunge in the Shanghai Composite Index was the biggest one-day fall since 2007 and by then the market had lost nearly a third of its value over six weeks. China’s central bank had already cut interest rates on 27 June in similar fashion to the Fed’s swift move to ease short-term rates in 1987. Song told Kamin the PBOC was particularly interested in the details of the Fed’s use of repurchase agreements to temporarily inject cash into the US banking system in 1987. The PBOC had increased cash injections in June and ramped up repurchase agreements in August as stocks continued to slide. The PBOC also eased policy on 11 August by allowing a 2% devaluation in the yuan currency. As Song and Kamin exchanged messages on 27 and 28 July, other Chinese authorities were busy trying to contain the crash. China’s securities regulator said on 27 July it was prepared to buy shares to stabilize the stock market and that authorities would deal severely with anyone making “malicious” bets that stocks would fall. In 1987, the Fed contacted banks directly and encouraged them to meet “legitimate funding needs” of their customers, according to Kamin’s email to Song. In addition to its pledges and cajoling, the US central bank in 1987 eased collateral restrictions on Wall Street and tried to calm markets by intervening in trading earlier than normal. The US economy continued to grow, eventually entering recession in 1990. 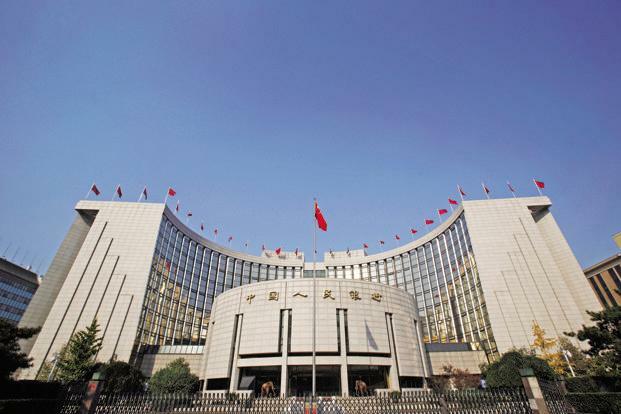 The central bank in Beijing does not have as free a hand to conduct policy as does the Fed, which answers to the US Congress but operates independently from the administration. The PBOC governor Zhou Xiaochuan implements policies ultimately decided by political leaders in Beijing and lacks the authority to lead debate or shed light on decision-making. China’s vice finance minister told Reuters last year Chinese supervisors needed to learn from countries like the United States. Premier Li Keqiang said last month China’s regulators did not respond sufficiently but China had fended off systemic risks. US central bankers say their relative transparency helps their effectiveness and legitimacy, but open records laws also make Fed officials cautious about their communications, much of which must be made public when requested. Fed vice chairman Stanley Fischer has said transparency makes it harder for policymakers to have informal discussions. Kamin pointed out in his email that everything he was sending was publicly available.